From the Civil War and D-Day to Iraq and Afghanistan, images of military conflicts and efforts to create a lasting peace. 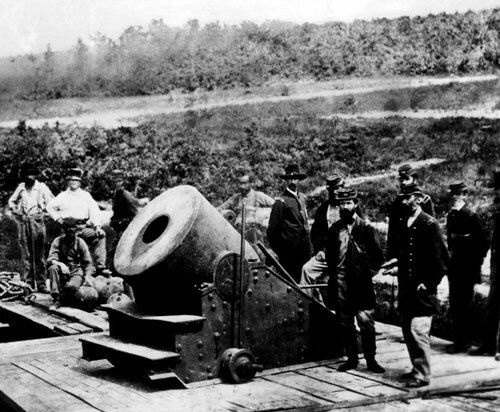 The Nation was born out of the tumult and tragedy of the Civil War. The abolitionists who founded this magazine in 1865 sought to bind up the wounds of a country torn apart by slavery and create a more just society. That sense of concern has driven an interest in civil rights and liberties that has been the magazine’s hallmark through decades of war and peace. Americans devastated by the assassination of a beloved president still look to him for guidance. 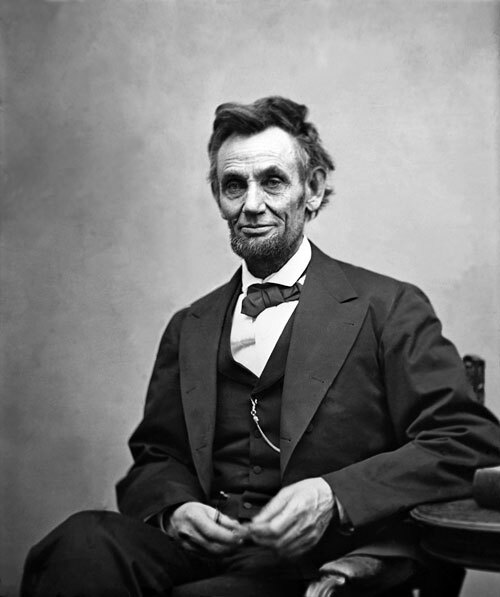 This first-hand account written in 1875 of how Lincoln composed his Gettysburg Address provides inspiration during the difficult years of Reconstruction and repair of the tattered social fabric. America’s insular focus is broken in June 1914, when Archduke Franz Ferdinand of Austria and his wife are assassinated. Germany declares war on Russia; England and Belgium enter the fray and the “War to End All Wars” begins. Three years later, a reluctant Woodrow Wilson, brings the US into the fight. By the end of the conflict, more than 9 million people would die. 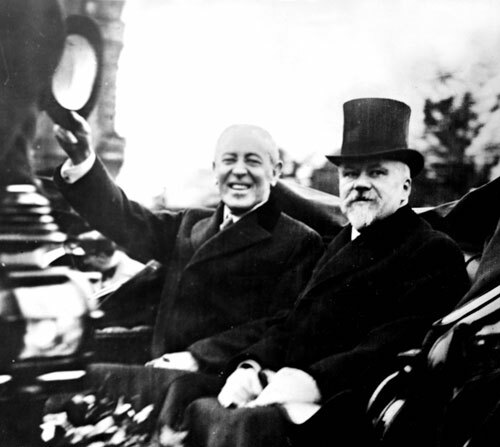 Wilson and French President Raymond Poincaré at the Paris Peace Conference. The Treaty of Versailles brings an end to World War I, but also sets the stage for the rise of Adolf Hitler. 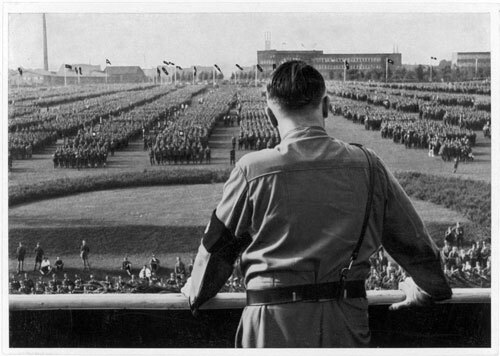 Hitler surveys his troops at a rally in Dortmund in 1933. Even as the German dictator takes aggressive action throughout Europe, many Americans fail to recognize how serious a threat his Nazi regime poses. By 1942, the US can no longer sit on the sidelines. 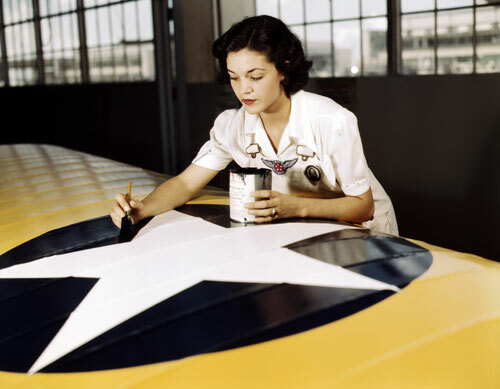 A civil service worker paints a US insignia on a Navy aircraft at a base in Corpus Christi, Texas. 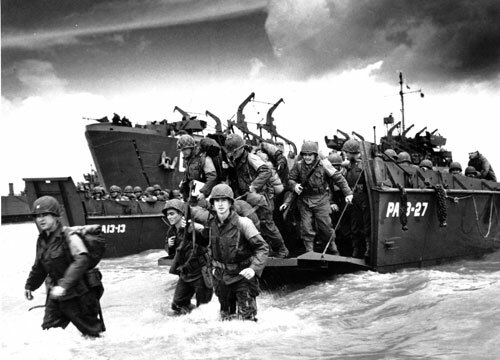 After nearly two years of crippling defeats, the tide turns as American reinforcements arrive on the beaches of Normandy on June 6, 1944–D-Day. While this allied victory over the Nazis is celebrated as the beginning of the end of the war in Europe, there is a lingering fear that the worst is yet to come. Women in the barracks of Auschwitz. 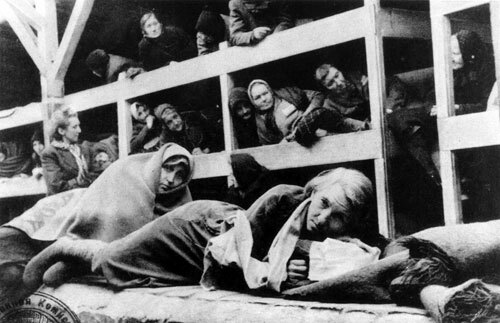 As the war in Europe comes to a close, the horrors of the Holocaust are exposed. 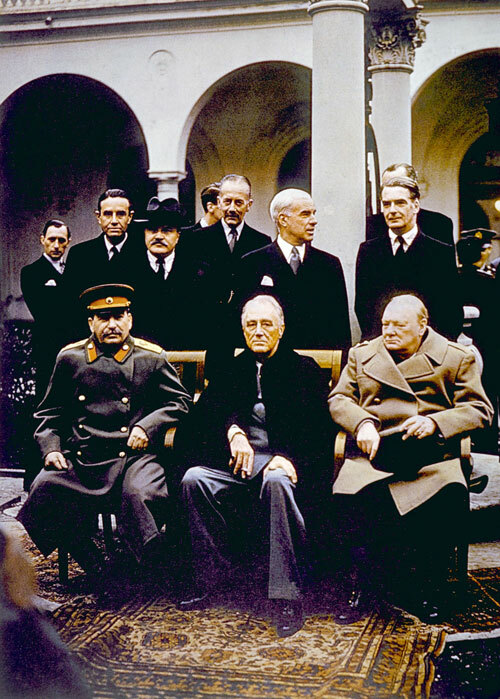 The Yalta Conference, (seated) Joseph Stalin, Franklin D. Roosevelt, Winston Churchill. I.F. Stone reports in The Nation that the agreement reached by the three allied powers leaves many feeling optimistic that a lasting peace can be formed in the aftermath of WWII. 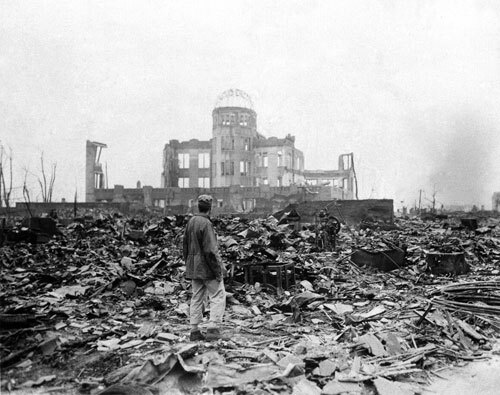 The first atomic bomb is dropped on Hiroshima ending the war in the Pacific and signaling the dawn of the nuclear age and the threat of mutually assured destruction. 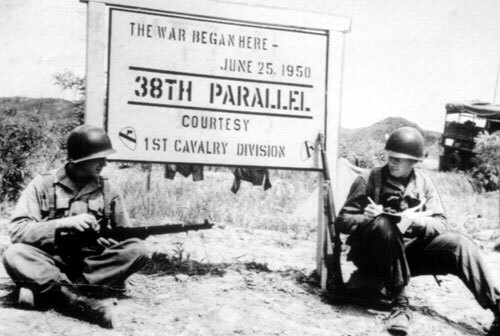 American soldiers and citizens are weary, as the war in Korea gains momentum. President Truman suffers some of the worst approval ratings ever recorded, leading to Republican Dwight D. Eisenhower’s big electoral victory in 1952. As a cold war rages among the superpowers, the Gulf of Tonkin Resolution plunges America into another devastating conflict in Vietnam. 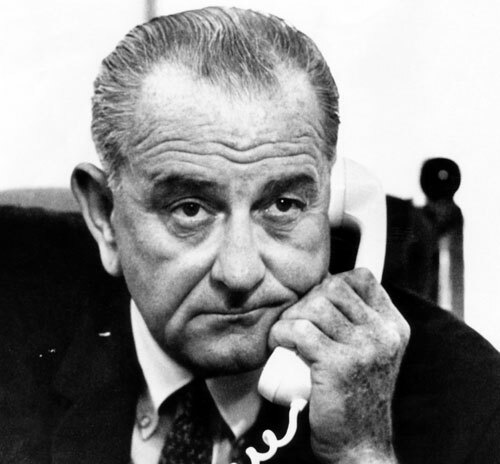 The domestic agenda of President Lyndon Johnson (pictured) becomes the first political casualty. My Tho, a Viet Cong base camp. 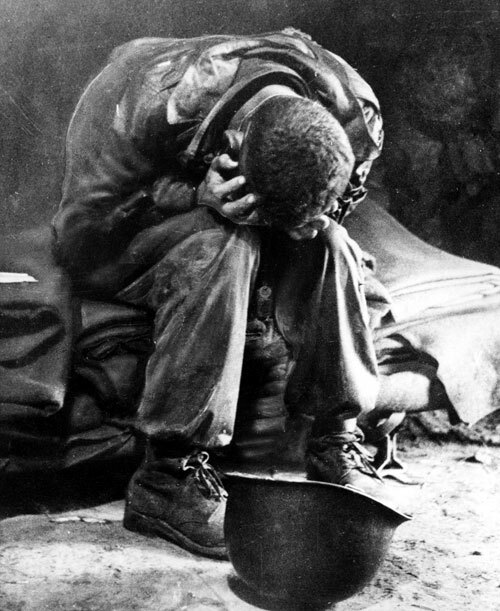 The war comes home via graphic television broadcasts to on the nightly news, feeding fierce antiwar sentiments. 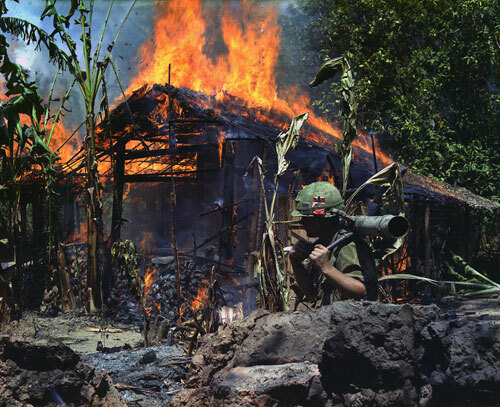 The callous brutality of US soldiers in Vietnam will haunt the nation for years to come. War protests erupt all across the country. College campuses are hotbeds of dissent. 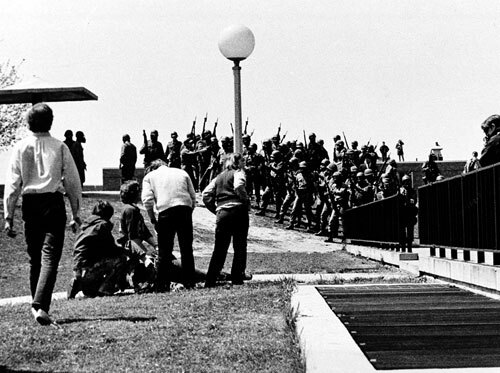 The movement receives a tragic blow when Vietnam war protesters are attacked by National Guardsmen on the campus of Kent State University. 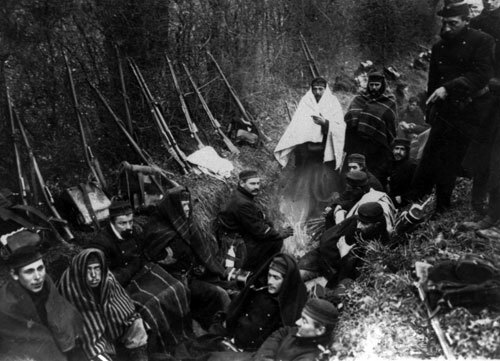 Four students are killed and another nine wounded. 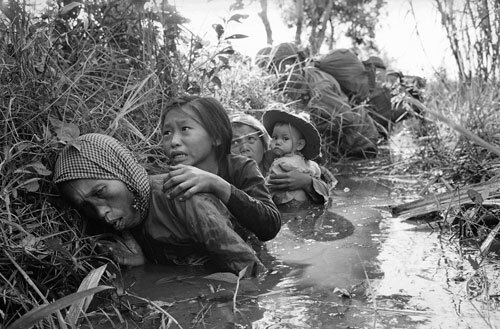 As the Vietnam war comes to an end Americans do some serious soul-searching about the meaning of the conflict. Turns out the “best and the brightest” architects of the war were nothing of the sort and innocent Vietnamese civilians likely suffered more than anyone else. With the collapse of communism and the end of the cold war, the US emerges as the world’s remaining superpower. Responding to Iraq’s 1991 invasion of oil-rich Kuwait, President George H.W. Bush launches the 1991 Gulf War. A decade later, in the wake of the September 11 attacks, George W. invades Iraq and Afghanistan. 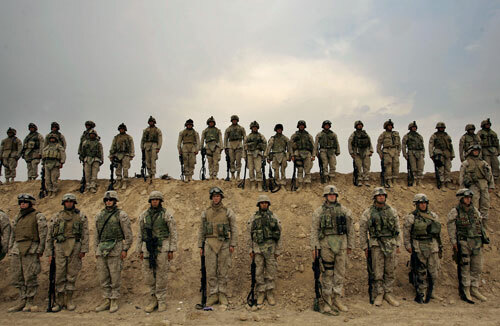 Today, as US troops begin to leave Iraq in fulfillment of President Obama’s campaign promises, the expansion of the conflict in Afghanistan threatens to eclipse his domestic agenda. In these trying times, The Nation continues to support nonviolent alternatives to war.